Our traditional way of thinking about the CIO role is closely aligned to the Waterfall development model. The CIO is responsible for making sure his or her organization delivers IT capabilities on time and on budget; providing services to something called “the business”; and reducing or at least carefully controlling costs that can be associated with IT. The problem is that none of that is truly strategic, and none truly justifies the proverbial “seat at the table." The critical assumption is that the business understands what it needs – that is, understands what will deliver business value – and communicates that need to IT, which then delivers the required capability to the business. Even in the traditional Agile model, that communication of needs and requirements happens on a small scale, through a product owner or on site business customers. It makes no difference: the business tells IT what it needs. IT delivers, and is judged on its ability to deliver within its commitments. It is no wonder we have often thought of outsourcing various IT functions, since IT in this model is essentially a contractor to the business. One reason the CIO role is especially challenging today is that we have stuck with this model – IT delivers outputs to the business’s satisfaction – while increasingly viewing IT as strategic and integral to the company’s success. As DevOps moves IT delivery further into the heart of the business, as digital services become crucial competitive advantages, as information security becomes a customer concern, and as we come to acknowledge that even the business must test its hypotheses to determine what it really “needs” (the lesson of Eric Ries’s The Lean Startup), we need to re-evaluate the role that IT plays – and consequently, the role that the CIO plays—in the enterprise. Increasingly, the CIO must serve as a driver and enabler of business outcomes, rather than just outputs used by the business to deliver value. The implications are deep. 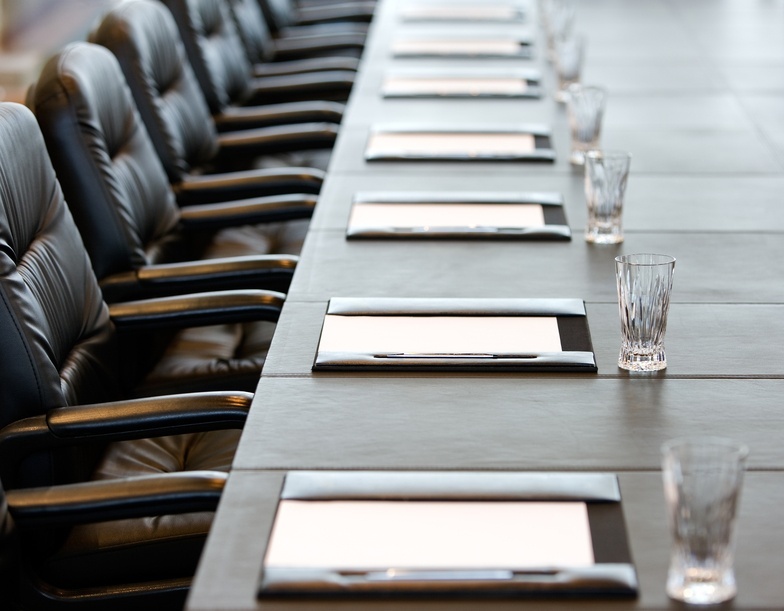 The CIO can no longer assume that the business knows what it wants or needs, and wait for requirements to be tossed over the wall from a business customer or handed down from a governance board or prioritized by a steering committee. Instead, the CIO and other CXOs, IT and the rest of the business, are on a journey together to figure out what “requirements” will best deliver outcomes for the business. The CIO is truly strategic. I will take this further: since the CIO is accountable for outcomes, it doesn’t really matter whether or not those outcomes are produced by people who report to the CIO. Shadow IT, or “rogue” IT, is a good thing to the extent that it leads to good outcomes. If it leads to bad outcomes, the CIO can find ways to improve it, such as tools and test suites that rogues can use to improve their work. The CIO is an expert in digital technology, a critical element of company strategy. He or she looks across the enterprise’s entire IT asset – what we might call the enterprise architecture – and maximizes the current and future benefits that can be derived from it. What the CIO does not do is make sure that it meets the business’s needs (which implies that the needs are pre-determined by others). The CIO does not deliver capabilities requested or required by something called the business. The CIO is one of a group of CXOs who deliver business results, each group member contributing expertise in a particular area – marketing, finance, operations … and IT. Together, the CXO team contributes a diversity of points of view, and the CIO’s point of view is technology. This can be frightening. The CIO can no longer hide behind “tell me your requirements and I will make sure my organization delivers them.” Success for a CIO is not on-time delivery, not reduction of the costs of IT, and not even satisfied business customers. It is business results. This is truly the impact of Agile thinking on IT leadership: IT cannot stand as something separate from the business, delivering what the business wants or needs. Instead, the CIO is a strategic player, at the table, driving business outcomes, and maximizing the business results. Mark Schwartz is an Enterprise Strategist at Amazon Web Services. Prior to AWS he served as CIO of the United States Citizenship and Immigration Services (USCIS) for 7 years. 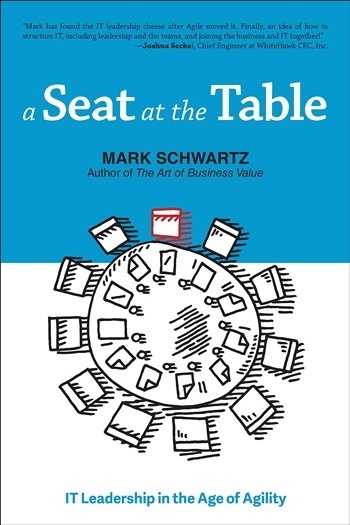 He is the author of A Seat at the Table: IT Leadership in the Age of Agility and The Art of Business Value.